The American Chemistry Council (ACC) reports that U.S. specialty chemicals market volumes ended the first quarter on a good note, increasing 0.4% in March after a 0.3% gain in February and a 0.1% gain in January. All changes in the data are reported on a three-month moving average (3MMA) basis. Of the 28 specialty chemical segments monitored, 18 expanded in March, nine markets experienced decline and one featured no change. During March, large market volume gains (1.0% and over) occurred in cosmetic chemicals, foundry chemicals and oilfield chemicals. 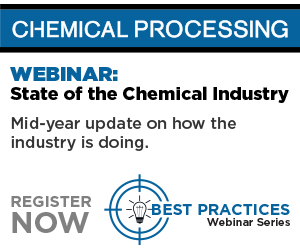 The overall specialty chemicals volume index was up 4.2% on a year-over-year (Y/Y) 3MMA basis. The index stood at 111.6% of its average 2012 levels. This is equivalent to 7.69 billion pounds (3.49 million metric tons). On a Y/Y basis, there were gains among 21 market and functional specialty chemical segments. Compared to last year, volumes were down in seven segments.